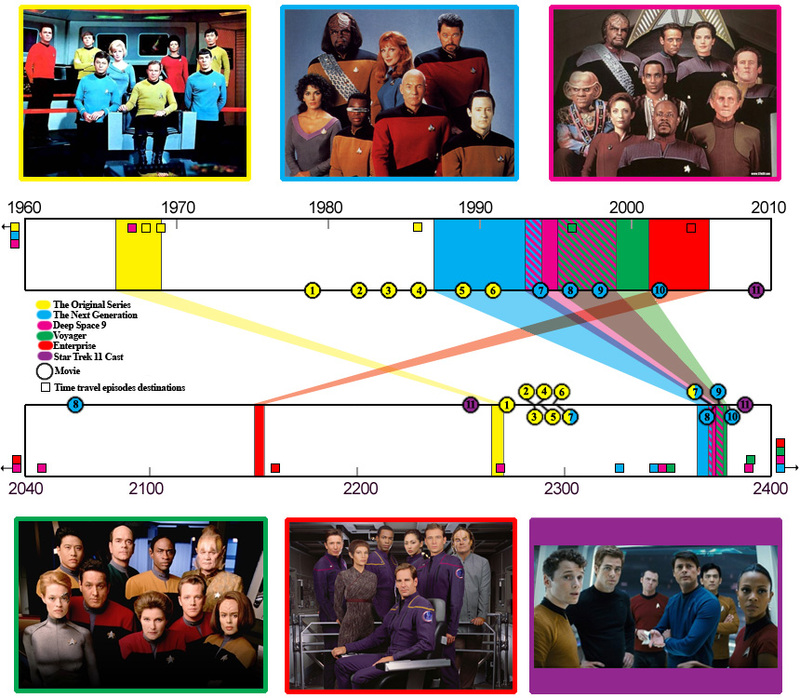 After doing a small update to my 'Spacerocks' page recently, I took the time to revisit another scifi themed project, a Star Trek timeline I made a few years ago (the old one can be found here). I completely redid it, and this time around I decided to write a Python script that would do all the math and draw the image for me using a database of series and movies, instead of messing around with counting pixels in Photoshop. The top bar is our actual time, and the bottom bar is the in-universe years that are portrayed in the Star Trek productions. 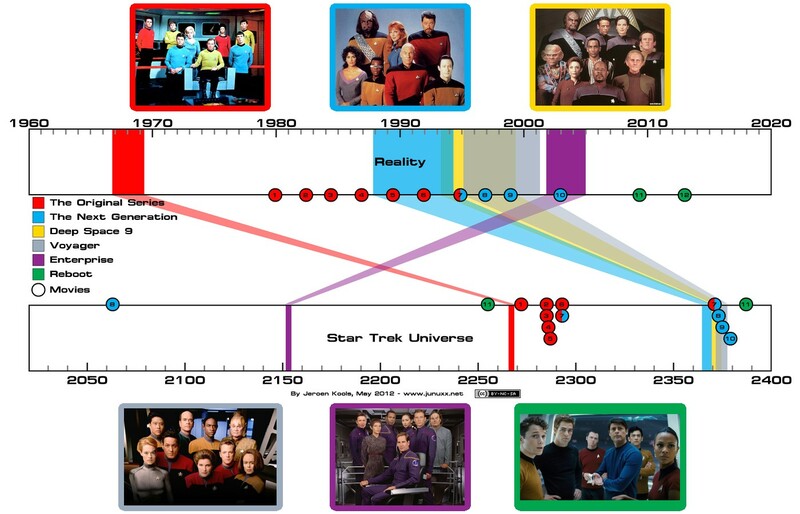 I thought there weren't any other time lines that visualized the Star Trek universe in such a way, but I just discovered a fairly similar one. Oh well.